IIM Bangalore has launched a new range of Massive Open Online Courses (MOOCs) through its partnership with edX, the online learning initiative founded by Harvard University and Massachusetts Institute of Technology. MOOC's are aimed at securing unlimited participation and open access via the web. In addition to traditional course materials such as filmed lectures, readings, and problem sets, many MOOCs provide interactive user forums to support community interactions between students, professors and teaching assistants. The first course offered through this programme would be Innovation and IT Management, a 6-week programme beginning in July 2015. A 5-week course on Statistics for Business would also start around the same time. Last year, IIM-B had joined edX as the first Indian business school member. 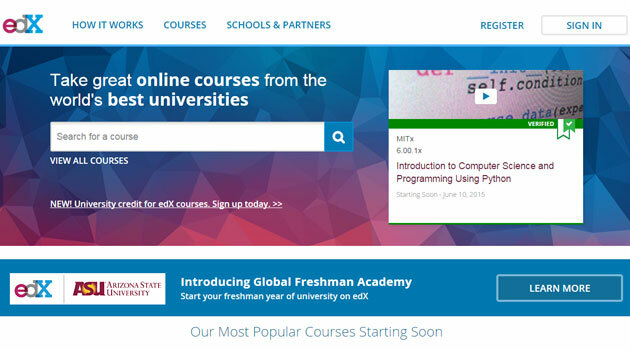 edX claims to be offering more than 500 courses in varied areas of studies such as arts and humanities, public health, law, mathematics and computer science. Faculty and staff from more than 70 partner institutions teach on the edX platform. Over 400,000 certificates have been earned by edX students, the statement said.